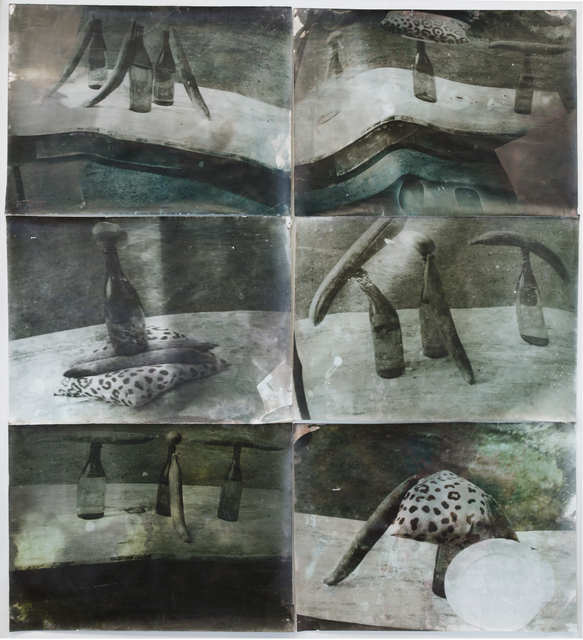 Johannes Brus sculptures often reveal parallels to his photographic works, and even his photographs emerge in a process that can be described as 'sculptural'. In the exhibition these parallels are shown with his photographs and sculptures from the 1970's till now. 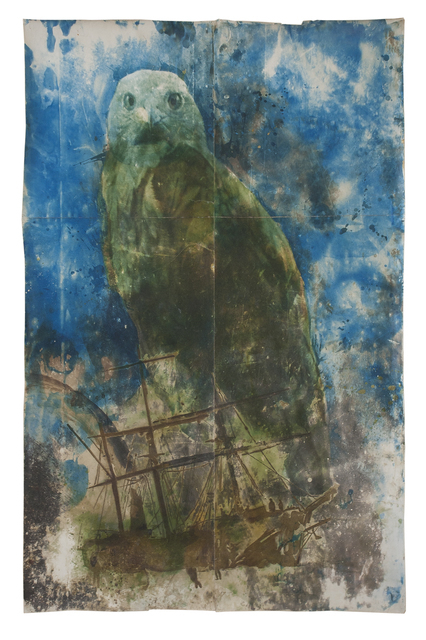 Galerie Judith Andreae shows from the end of November selected works of the photographer and sculptor Johannes Brus (b. 1942 in Gelsenkirchen). Since the end of the 1950s, the artist has been dealing with the relation between photography and sculpture. His sculptures often reveal parallels to his photographic works, and even his photographs emerge in a process that can be described as 'sculptural'. In the exhibition "Johannes Brus" these parallels should be pointed out. Large and small format photographs contrast with his concrete and bronze sculptures. 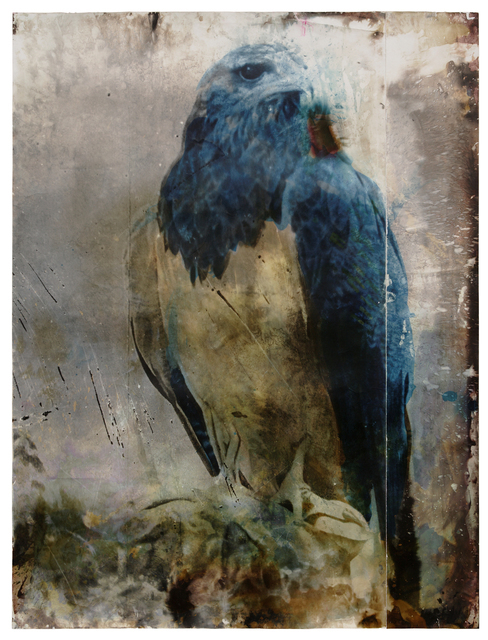 Johannes Brus' photographs are exposed several times, alienated with developer and fixative liquid as well as with the use of color and pigments so far that the viewer can no longer recognize the origin. "Abuse photos until the last part of the Sunday suit gloss finish is out," says Johannes Brus himself about his approach. 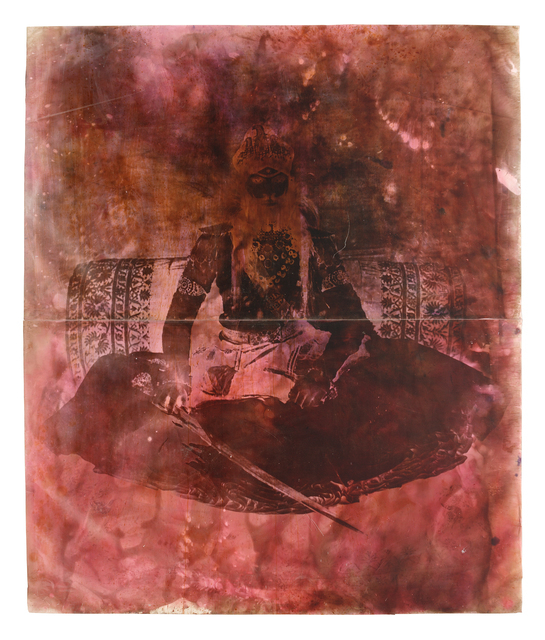 The solo exhibition features his so called trophy paintings depicting animal and maharaja portraits. 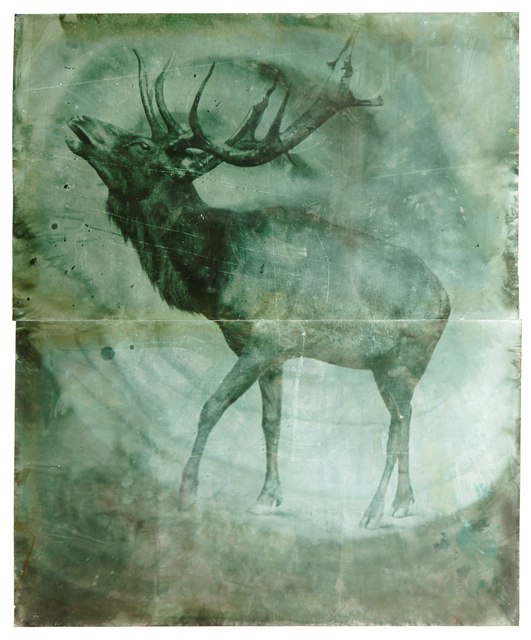 These are prints from travel documentaries and animal zodiacs of the late 19th century, which are the result of different chemical processes during the development process and thus each individual image is unique. Likewise, specially created for the exhibition in 2018, photograms of still life will be shown. Realistic sculptures made of concrete, plaster and bronze contrast with these photographs. 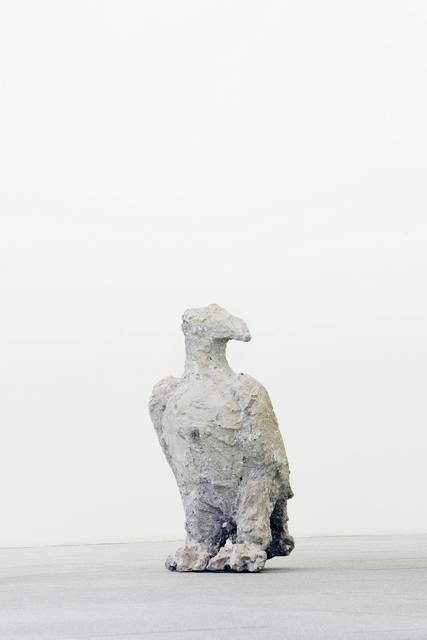 A selection of sculptures from recent decades is intended to highlight the focus of the sculptural work of Johannes Brus. 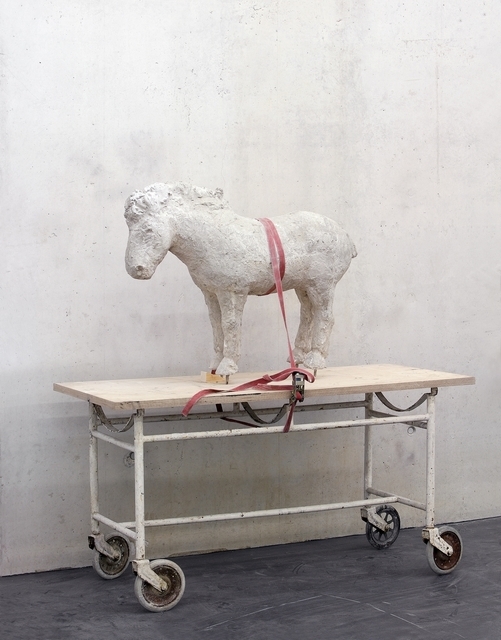 Brus is interested in the physicality of his sculptures - the power and mass of the works. For him, the work process as such is just as important as the confrontation with form and material. Since the beginning of the 1980s, four animals have been found in his sculptural as well as in his photographic works: elephants, eagles, horses and rhinos. Johannes Brus studied at the Düsseldorf Art Academy from 1954 to 1971 and received numerous art prizes in the years following his studies, such as the Villa Romana Art Prize, Florence (1979), Defet Prize of the Deutscher Künstlerbund (1982) and the scholarship of the Kunstfonds Foundation , Bonn (1983). In the years from 1986 to 2007 he held a professorship at the University of Fine Arts in Braunschweig. His photographs as well as his sculptures are represented in numerous public national and international collections such as the collection of contemporary art of the Federal Republic of Germany, the Museum Kunstpalast Dusseldorf, the Kunstpalais Erlangen, the Arp Museum Bahnhof Rolandseck, Remagen and the Museum of Modern Art, San Francisco, USA. 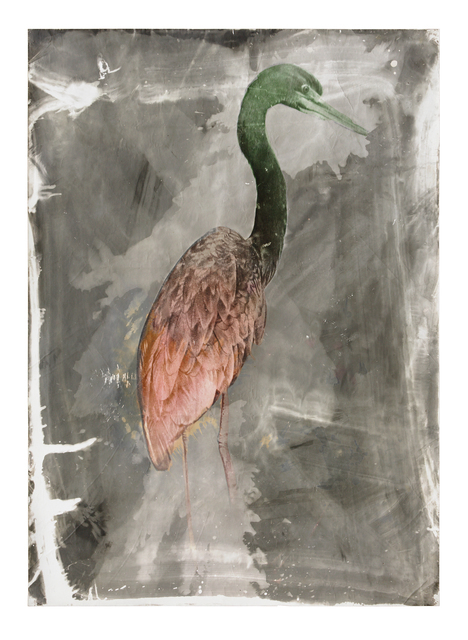 His animal portraits formed the Jahresgabe 2018 of the Artothek Köln and were exhibited at this year's Art Cologne. From October 27, 2018, to May 27, 2019, the Museum of Modern Art in San Francisco, USA, is showing John Brus' first solo exhibition, New in the Collection, in the United States. Here, too, a selection of his photographic works since the late 1980s and three of his sculptures are shown.